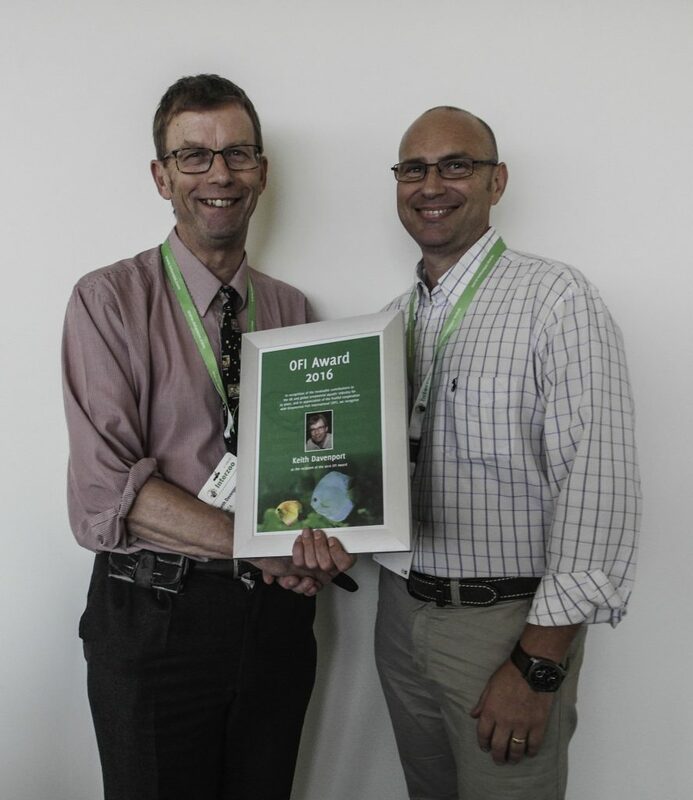 Nuremberg, Germany – May 27, 2016 – Keith Davenport of OATA has been awarded the 2016 OFI Award for his for his immense work for the aquatic industry in the UK and internationally, and his unlimited willingness to share information and cooperate with colleagues across the globe. Keith has been Chief Executive Officer of the UK trade organisation OATA since 1991 and became a true leading light in the community of trade associations working with ornamental aquatic industry issues. He is always the first to share information with others, and is always eager to discuss thoughts and issues, strategies and road map. OFI has maintained a close working relationship with Keith and OATA and hope this continues after his retirement later this year.